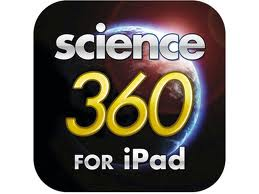 Here are some great reference and interactive apps for science. 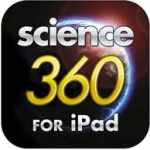 As well as the apps I have on my iPad which are presented below I have added some links at the bottom of this post to other blogs discussing science related apps. Click on the app icon to view the app in the app store for more detail and to purchase. This is my favourite solar system app. There are lots of apps based around the solar system. This one has some stunning images and functions. 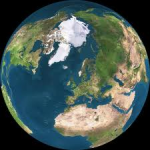 There is also a great list of short videos explaining the phases of the moon, tidal phenomena, major circles of latitude, zodiacal constellations, solar eclipses, earth’s cycles and size comparisons of planets. Images, news, NASA TV, videos, featured topics and information about each of the planets in our solar system plus all the NASA deployed satellites. Use these apps to find the positions of planets, constellations and stars in our solar system. Point up to the sky and follow the directions as the app points you towards the planet, constellation or star in the sky. You can use your current location and time in GoSkyWatch or change these to see how it affects where the planet, star or constellation will appear in relation to the world. Look at current weather conditions around the globe. View cloud formations, storms, current temperatures, wind speeds and humidity around the world. Capture photos of what is on screen and import to the iPad photo album for use in student work. A large range of science experiments/explanations for upper primary/secondary students including: colour wheel, heat sensitive materials, air canon, bending glass, hovercraft, pinhole viewer and many many more. A great resource. A large range of science based video.Produced by the National Science Foundation. Explore the interactive periodic table and view & build essential elements. Unfortunately the video in the app cannot be viewed outside the USA due to copy right laws. If you are looking for a high quality app with over 500 HD images, the ability to rotate images plus 3D capabilities then try The Elements – A Visual Exploration, at $14.99 it should be good. 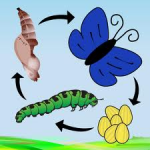 A great resource that explains the life cycles of frogs, ladybugs, the butterfly, plants, rocks, water, plus phases of the moon, pollination & fertilisation, photosynthesis, nitrogen cycle and oxygen cycle. 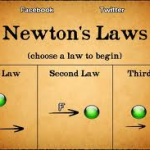 An app that helps to explain Newtons three laws of motion. Has some interactive examples within the app. Science glossary provides scientific terms in alphabetical order with written explanations. Physical Sciences Glossary uses interactive explanations and videos to help explain Energy & Systems, Force & Motion, Electricity & Magnetism, Matter & Energy, Light & Optics and Sound & Waves. 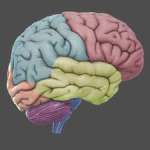 Learn about all areas of the brain and how the brain functions. 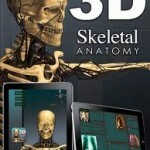 View the human skeleton in 3D. The app also includes a skeletal encyclopedia. An app for junior primary, primary and lower middle school. Topics include growing, skin, senses, hunger, breathing, heart, muscles, nerves and skeleton. A great interactive app. Learn about the heart. Set a heart rate and watch the heart respond. View the hearts interior, electrical system, valves, blood flow with or without labels. This entry was posted in iPad Apps and tagged Educational Apps, iPad, science apps.